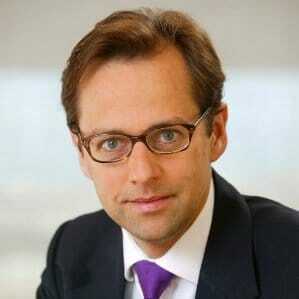 Mr. van Stenos has been appointed as the Global Head of Strategy at Schroders. Huw van Steenis, the longtime Morgan Stanley veteran banker and executive, has parted ways with the group to join UK asset manager Schroders, according to a Financial Times report. Mr. van Steenis is the latest example of top tier talent leaving the banking sector to join a hedge fund or asset manager. He originally joined Morgan Stanley in 2002, having since worked as its managing director – his tenure has seen him assume the rank as one of the industry’s top rated analysts. His departure snaps a 14-year stint with the lender, which will see him step into a new role at Schroders in Q4 2016. At Schroders, Mr. van Steenis will work as its Global Head of Strategy, focusing on developing the group’s medium- and long-term growth plans. Prior to joining Morgan Stanley in 2002, he held a variety of different roles at different groups, not specifically relegated to the banking sector. This included senior level roles in fields such as the arts, as a stint as the Head of Diversified Financials Research at JPMorgan and SEM at the Boston Consulting Group, part of a lengthy career extending back to 1994, according to information made public on his Linkedin profile.